Fred. 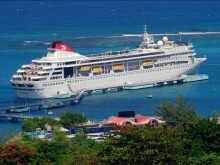 Olsen Cruise Lines is pleased to welcome ‘Talon’ back on board in 2014. 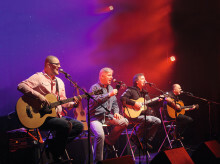 The band – described as ‘Awesome!’ by The Sun – will perform a series of songs from their new album, ‘The Acoustic Collection’, on three separate evenings during Balmoral’s seven-night L1409 ‘Discover France, Spain & Guernsey’ cruise, departing from Southampton on 20th July 2014. Fred. 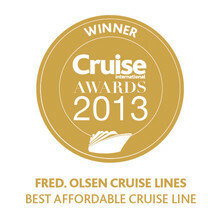 Olsen Cruise Lines was delighted to be voted ‘Best Affordable Cruise Line’, for the second year running, at the 2013 ‘Cruise International Awards’, as well as being awarded runner-up ‘Highly Commended’ in the ‘Best Cruise Line’ category. Fred. Olsen Cruise Lines commences new partnership with Eavesway Travel Ltd.
With effect from April 2014, Fred. Olsen Cruise Lines will be working with Wigan-based Eavesway Travel Ltd., which has been established for over 70 years, as its preferred supplier of coach services for cruise guests. 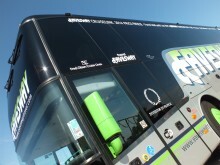 Route details and fares will be featured in Fred. 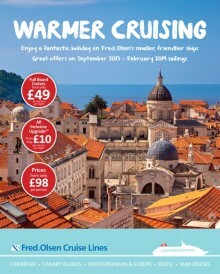 Olsen’s ‘Worldwide Cruises 2014/15’ brochure, due to be launched in mid-September 2013. Fred. 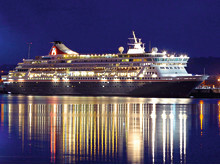 Olsen Cruise Lines will have a team of experts on hand at this autumn’s Telegraph CRUISE Show in Birmingham, to be held at the NEC on Saturday 21st and Sunday 22nd September 2013, ready to inspire and inform visitors on the right kind of Fred. Olsen cruise for them. Fred. Olsen Cruise Lines has revealed its best-selling cruises for 2014, and guests are encouraged to ‘get booking’ before the main ‘Worldwide Cruises 2014/15’ brochure is launched to avoid price rises, coming into effect from 19th September 2013. Fred. Olsen Cruise Lines has listened to its guests and is introducing a fourth Caribbean fly-cruise in 2015 to satisfy demand, to go on sale from 9am on 3rd September 2013. Fred. 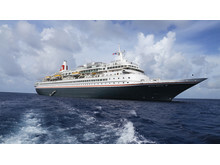 Olsen Cruise Lines will have a team of experts on hand at this autumn’s Telegraph CRUISE Show in Manchester, to be held at Manchester Central on Saturday 7th and Sunday 8th September 2013, ready to inspire and inform visitors on the right kind of Fred. Olsen cruise for them. Fred. Olsen Cruise Lines’ kind-hearted crew have raised £3,000 for The Faye Knowles-Chapman Foundation. The Foundation has been set up in memory of Faye Knowles-Chapman, from West Yorkshire, who worked on board Braemar as a dancer with Explosive Productions from 2008 to 2011, before sadly losing her battle with cervical cancer on 30th March 2013, aged just 27 years old. Fred. 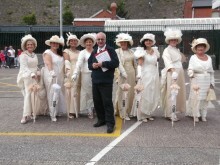 Olsen Cruise Lines’ flagship Balmoral was delighted to receive a very warm welcome from the ladies of the 'Cobh Animation Team' when the ship called at Cobh, Ireland on 25th August 2013, as part of its five-night L1312 ‘Gaelic & Garlic Discoveries’ cruise to France and Ireland; guests were able to stay overnight to take advantage of the Irish ‘craic’ at this historic port. Fred. Olsen Cruise Lines welcomed its 1.5 millionth guest to pass through the Port of Dover on 14th August 2013. Pam Allen, with her husband John, was boarding Fred. 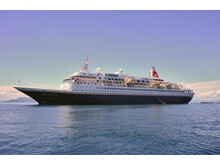 Olsen's 929-guest ship, Braemar, for a nine-night around the UK and Ireland ‘Celtic Experience’ cruise. Fred. 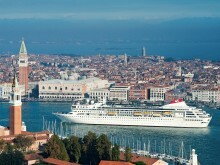 Olsen Cruise Lines has launched a new ‘Warmer Cruising’ brochure, offering a selection of tempting cruises, departing between September 2013 and February 2014. These cruises are ideal getaways for the winter and offer some excellent savings, with prices starting from just £49 per person per night. Fred. 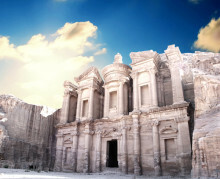 Olsen Cruise Lines is ‘bringing the world closer’ to the people of Belfast, with three exciting cruise itineraries in Autumn 2013. 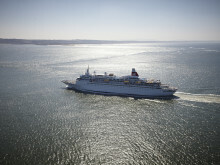 Sailing on board 880-guest Boudicca, guests will have the opportunity, for the first time since 2007, to embark on a Fred. 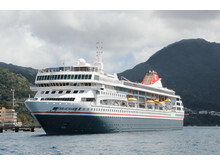 Olsen cruise from Belfast, without having to endure an expensive flight or long ferry crossing to reach its ships. Fred. Olsen Cruise Lines’ guests and crew on board Balmoral are pleased to have raised a total of £3,336.98 for The Mission to Seafarers, the international charity that provides the largest counselling and support network to seafarers around the globe, in over 260 ports in 71 countries, and offers a vital lifeline to those stranded in foreign ports.